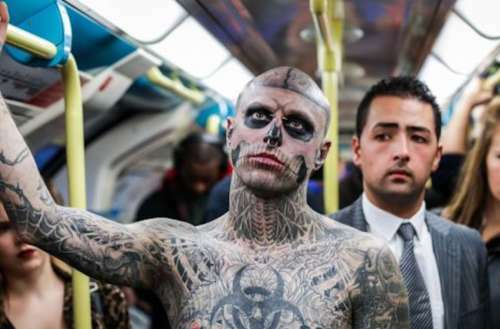 Genest distinguished himself from other models by covering himself with tattoos of the body’s inner organs, veins and skeletal structures, earning him his Zombie Boy nickname. In a 2011 interview (below), Genest revealed that he’d been diagnosed with a brain tumor early in life and had contemplated suicide while spending time in treatment and in the hospital. He got his Zombie Boy tattoos as a way to process his feelings around life and death. It’s unclear whether his suicide is at all connected to his brain cancer. She then announced that this fall she’ll explore the launch of a campaign about building “cultures of kindness and wellness” with her anti-bullying organization the Born This Way foundation. Sculptor Marc Quinn created a life-size sculpture of Genest in 2018, showing the Zombie Boy tattoos that Genest had become known for. The tattoos reportedly covered 90% of his body. The sculpture is now a permanent fixture within London’s Science Museum. Genest was also a musician who had worked on several rock-n-roll dubstep tracks, collaborating with music and film producer Rob Zombie. Together they released a medley music video mash-up of Genest’s tracks in 2015, but it seems the album itself never reached completion. 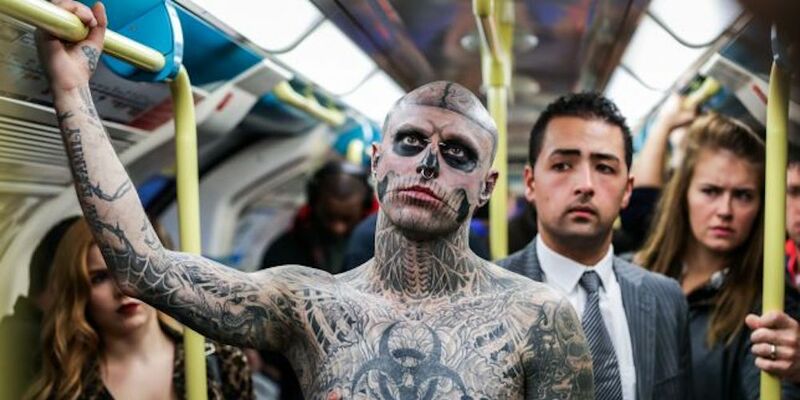 What did you learn from the life of Zombie Boy Rick Genest?